Scott MacIntyre is a true inspiration. He is also a top 10 finalist in the American Idol Music Show. Due to both of these reasons, the Ambassadors of Borderless Arts is honored to host him in lecture at Middle Tennessee State University on April 8 at 4pm in the College of Education room 164. The event is free and open to the public. From his early days as a classical concert pianist to capturing the hearts of millions of American Idol viewers with his engaging presence and vocal prowess, Scott MacIntyre has never let challenges keep him from achieving his dreams. Having performed with such notable acts as The Band Perry, Alice Cooper, and the Jonas Brothers, he has traveled the globe inspiring audiences with his music and story. Blind from birth and a two-time kidney transplant recipient, Scott knows what it means to persevere despite seemingly insurmountable obstacles. He was first diagnosed with stage-four kidney failure at nineteen years old, and after becoming extremely ill, he began emergency dialysis. After a year on dialysis, his college piano teacher’s wife donated her kidney to Scott and saved his life. It was less than a year later that he auditioned for American Idol. That kidney transplant lasted for eight years, then in September 2014, Scott was put back on the transplant waiting list for a deceased-donor kidney. Several months later, an anonymous living donor stepped forward and offered to undergo compatibility testing after hearing about Scott’s need on the radio. In June 2015, Scott underwent his second successful kidney transplant and has since made a full recovery. The following year, Scott and his wife Christina welcomed their first baby into the world – Christian Scott MacIntyre, born September of 2016. Their story is recounted in the new documentary film, I Am Hope: Scott MacIntyre’s Inspirational Transplant Journey. 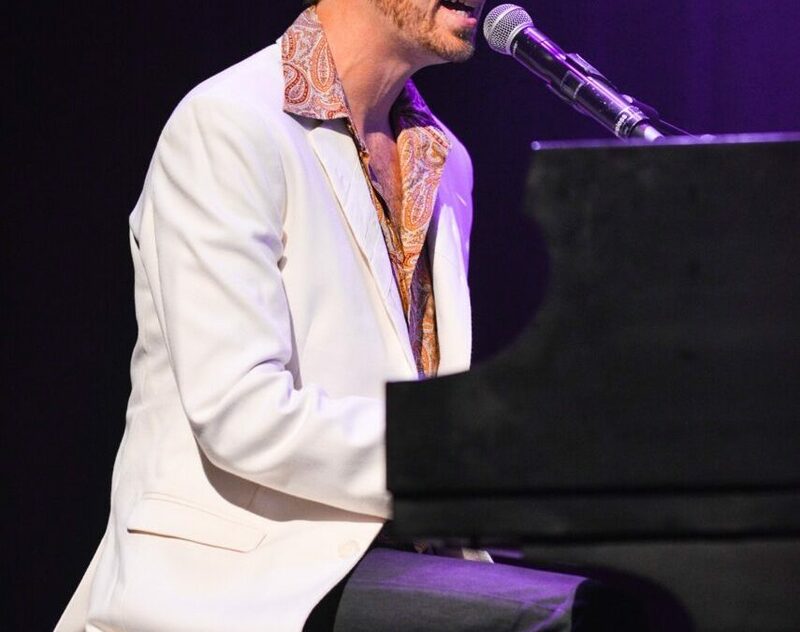 As an accomplished pianist, Scott’s heartfelt songs and powerful voice take his audiences on an emotional journey of hardship and hope, entreating listeners that no matter what life brings their way, life is always worth living to the fullest. In his autobiographical book By Faith, Not By Sight, he writes about how he learned to create opportunity, take risks, and overcome any challenge. His road to success was anything but easy, and he is living proof that with commitment, diligence, and humility, anything is possible. Scott has appeared on Jimmy Kimmel Live, Regis and Kelly, the Today Show, Canada AM, Larry King Live, Huckabee, and many other programs. In 2010, Scott was honored by Dr. Robert and Arvella Schuller with the annual award for “promoting positive values in the media.” In 2012, he partnered with Donate Life America and FOX to launch a national PSA for organ, eye, and tissue donation. He wrote a song for the PSA entitled “I Am Hope,” and it quickly became a theme song for the transplant community. The song was released on Scott’s 2014 album Lighthouse.